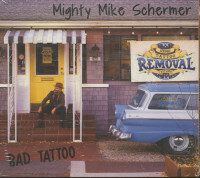 Finedog Records and VizzTone proudly present triple threat guitarist, singer and songwriter Mighty Mike Schermers 7th album, 'Bad Tattoo'. Its an instant classic 12 smart, hook-laden original songs. Recorded and mixed at Kid Andersens Greaseland in San Jose CA, the album showcases Schermers mastery of nearly every style of American music. Mighty Mike can play the blues like nobodys business, but he can also write and sing soul music, R&B, rock and roll, country and Americana with the best in the business. 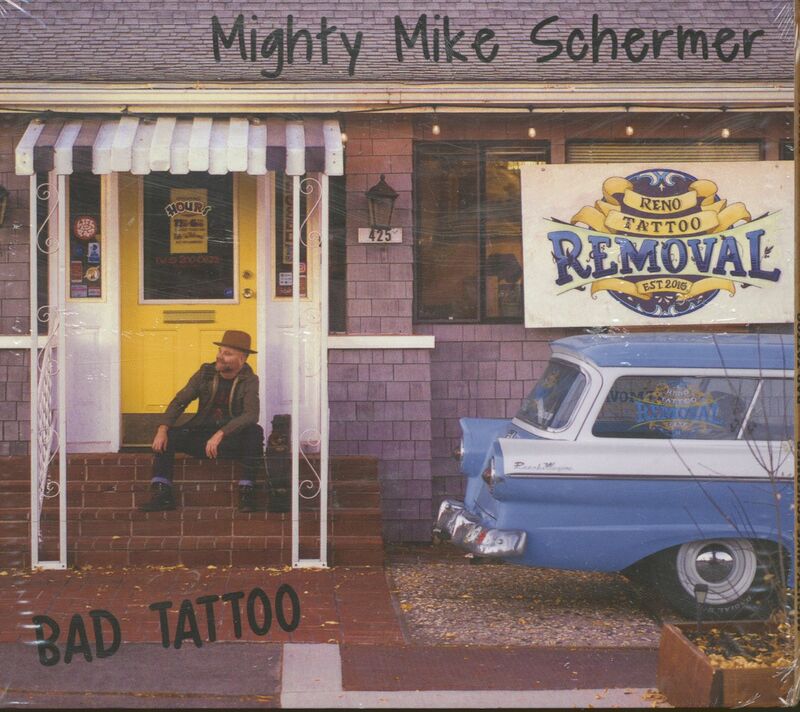 Schermer has been the go to guy sideman for such greats as Elvin Bishop, Bonnie Raitt, Charlie Musselwhite, Angela Strehli, Maria Muldaur, Howard Tate, Pinetop Perkins and many more. He currently tours and records with swamp-boogie piano legend Marcia Ball. He has also carved out a solid solo career...with an award winning single, 6 critically acclaimed albums, a Blues Music Award nomination and literally thousands of performances at festivals and nightclubs the world over. Customer evaluation for "Bad Tattoo (CD)"